For horses that are currently used to working with a ported bit. The spoon mouth sets very upright in the mouth with a tipped top encouraging the horse to flex at the poll. 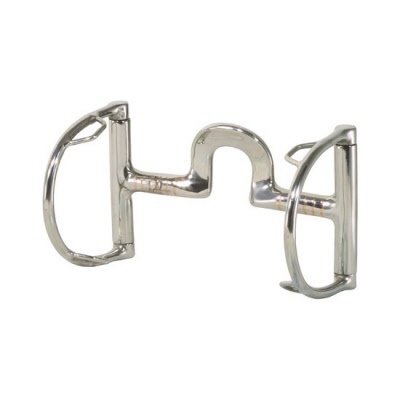 Hooks allow you to attach the bit to the bridle and reins keeping the bit in the most effective position. Helps to lighten up a heavy front end, promotes better carriage in the finished horse. Excellent for the horse that tends to over set his head.